NCR book printing or NCR forms printing (No Carbon Required) allowing you to duplicate, triplicate or quadruplicate what you are writing without having to use messy carbon paper. 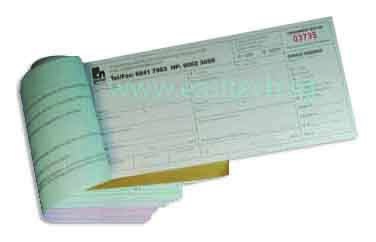 This is commonly use for Invoice book printing, delivery note printing, receipt book printing and many others. 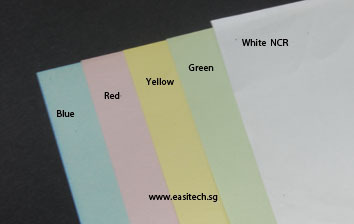 NCR paper is used to make a copy of an original, handwritten (or mechanically typed) document without the use of any carbon paper. 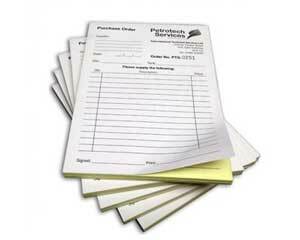 Click here to download NCR invoice book template in adobe illustrator format. Above are the binding methods. For book binding method (Type A & B), please design 15mm from binding edge.